One of the most innovative advances in dentistry is the ability to straighten your teeth without traditional metal brackets. 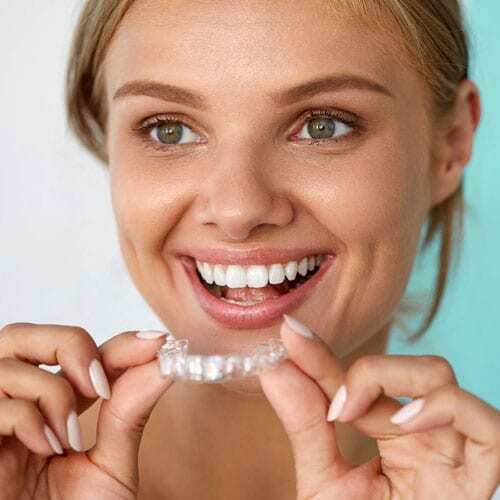 Dr. Jaleel utilizes a series of clear, plastic, removable “aligners”, which are computer generated to gently and progressively alter the position of your teeth, until they are correctly aligned. Our patients are seen smiling as much during treatment as after treatment! If you like the sound of Invisalign®, book a consultation with us today at Fairlawn Dental Centre. This will give Dr. Jaleel the opportunity to take a good look at your teeth and assess if getting these invisible braces will be right for you. Check other Orthodontic Services.